The growth of automobile ownership in America has provided a mix of blessings and harm to the country and the world. Cars have spurred economic growth, population mobility, and geographic freedom. However, fossil-fueled automobiles are the leading causes of pollution, urban sprawl, and massive traffic delays — in addition to deaths, injuries, and property damage due to accidents. One solution to these problems is the development of electric, self-driving cars. Some analysts project that these vehicles will eliminate traffic accidents, reduce pollution, and decrease the number of vehicles on the road. Is an electric or self-driving car in your future? Here’s a look at what they are, what they offer, and how to determine whether one is right for you. What Is an Electric or Self-Driving Vehicle? 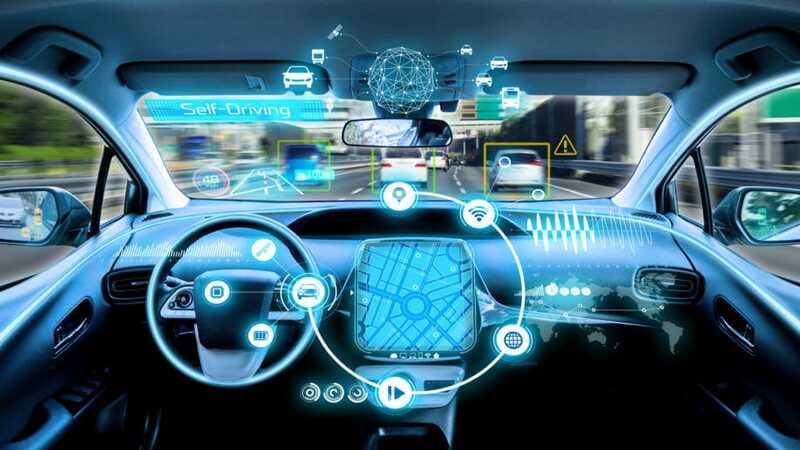 Technology is on track to transform the relationship between humans, their vehicles, and the environment over the next two decades. Peter O’Connor of the Union of Concerned Scientists predicts that electric vehicles (or EVs) could constitute 20% of U.S. automobile sales by 2025. As sales increase, the cost of EVs will go down. At the same time, the cost of internal combustion engine vehicles will rise as manufacturers face stringent, costly emission regulations. Not all electric cars are self-driving, and not all self-driving cars are electric. While electric vehicles are on the road today, self-driving cars are only in the testing phase, and no one can say for certain when consumers can expect to see them. Here’s a look at the differences between the two. Electric vehicles are powered by electricity from batteries or fuel cells located within the body of the vehicle. The first EV was introduced in Scotland and enjoyed a brief popularity as a taxi in the late 19th century. The introduction of the internal combustion engine, coupled with the low cost of gasoline, led to EVs’ replacement by the 1920s. Electric cars are extremely efficient — 95% compared to a traditional combustion engine’s 30% — since they deliver power directly to the wheels, eliminating the need for a clutch or gears. Manufacturers are currently exploring the possibility of an electric engine that would reside entirely within the wheel rim. Concerns about the environment — electric engines produce 0% tailpipe emissions — and the volatility of fuel prices have also stimulated the development of modern electric vehicles. In 1997, Toyota produced the first mass-produced hybrid car, the Prius, which had a small gasoline engine to drive the electric motor between charges. Nissan, Honda, Ford, and Chevrolet followed with their own models within a few years. GM produced the first all-electric vehicle, the EV1, in 1996, but it was never commercially viable. In 2008, Tesla Motors produced its electric Roadster, followed by the launch of the Nissan Leaf. According to EVRater, 65 all-electric vehicles and 63 hybrid vehicles from 27 manufacturers are available now or upcoming. According to the U.S. Energy Information Administration, almost 725,000 electric or hybrid vehicles were on the road in America in 2017, amounting to about 3% of total U.S. new car sales, according to Quartz.